My first internship was at 8 years old – that’s right, 8. Now at 21, I’ve held several internships, all in the realm of politics. I was born in 1996 – making me an entitled, know-it-all millennial, but disclaimer: I’m not a part of the 99 percent! This summer I gained valuable internship experience in Communications and Public Relations at Thomas/Boyd Communications. While the term “millennial” can carry a certain stigma, it’s not just a term for people of a certain age. We have entered a “millennial age” and the term pertains to technology, fast-paced work environments, multitasking and more! 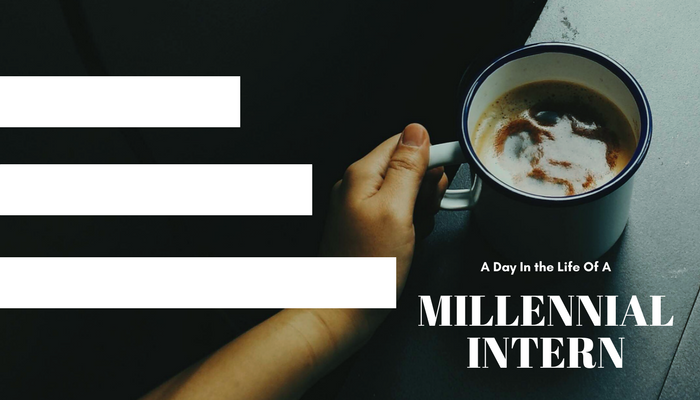 Here’s what it is like to be an intern in the millennial age. First, coffee runs are a thing of the past. And even if it seems convenient, don’t make the intern do it! When I interned for an elected official’s campaign office, I was tasked with getting coffee for a few people in the office. One co-worker looked at me, pointed at a box and said, “I want my coffee to be this shade of cardboard.” (Does cardboard even have different shades?) But off I went, dodging taxi cabs and milling tourists on Broad Street in Philadelphia. I returned and placed her coffee down in front of her indiscreetly saying, “I hope it’s the right shade of cardboard.” True story. On another note, there are no off days. Even on the days that I am not physically in the office, my brain is wired to think like I work. If I see an interesting article or notable name, I save it or make note of it. If I come across an ad or social media post, I immediately think how it works or how it doesn’t. When I am in the office, downtime is also a time to brainstorm. I’m constantly on my toes thinking of pitches and what’s next. Lastly, it is important to realize that there is more than just learning how to draft speeches, lick envelopes and write e-mails. Internships do not consist of solely doing busy work! You are gaining valuable lessons of the business world. Handshakes become firmer, eye contact becomes existent and interpersonal skills greatly expand.